Does It Really Matter If Moses Wrote Genesis? Several popular Christians don’t seem to think it really matters who wrote Genesis. No results found in Get Answers. Now’s your chance to answer every question you ever had about cavemen! 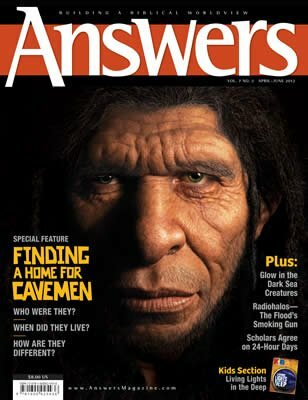 This issue is chock full of the latest information about Neanderthals, Homo erectus, “the Hobbit,” and other media stars. Were they like us? How did they die? Also learn about the wonders of the sun, creatures that glow in the dark, and the reason all Hebrew scholars agree that Genesis 1 says creation was six literal 24-hour days!